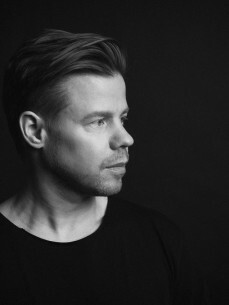 Hailing from Rotterdam, The Netherlands, Ferry Corsten’s illustrious career is exemplified by a passion for music that began as a hobby and spiralled into a full-blown profession, as he continues to push the boundaries of trance music as much today as much as he did in his fledgling career. This is highlighted by his latest project UNITY, a concept launched in 2018 that will see Ferry collaborate with iconic trance acts throughout the year with the vision of uniting the Trance community for a bigger cause. Ferry has partnered with VH1’s Save The Music Foundation, an organisation formed to reinstate music programs for children, which has helped 2,100 schools to date. The first of these collaborations came in the form of icon Paul Oakenfold, a track that Billboard hailed as the “perfect starting point for UNITY”. This project follows on from Ferry’s 2017 sci-fi concept album ‘Blueprint’, a full length for which Ferry worked with House Of Cards screenwriter David H. Miller to complete, and which includes narration from Amazing Spider-Man and Exorcism Of Emily Rose actor Campbell Scott. 2017 also saw Ferry place in DJ Mag’s Top 100 poll for the 7th consecutive year, making him the longest serving Dutch DJ in the ranking, and with past accolades and new projects taken into account it’s no surprise. Ferry has been consistently at the top of his game since his sophomoric album under the System F. alias ‘Out Of The Blue’ in 1999, with the title track charting in the UK Top 20 singles chart, and the rapid rise during the early stages of his blossoming career continued with numerous remix requests, including remixes for U2, Justin Bieber, Moby, Faithless, Duran Duran and Public Enemy. Ferry also partnered with Tiësto around this time for the now legendary Gouryella handle, a project Ferry relaunched in 2016 with the hugely popular ‘Anahera’ single, and later a Gouryella Live show gracing the stages of EDC, Ultra, Tomorrowland and more. Ferry continues to break new ground in the trance world and beyond, demonstrated by his nomination for ‘Best Trance Act’ at the 2017 IDMA’s, and recently completed his first film score for the mystery/thriller ‘Don’t Let Go’, directed by David Gleeson and featuring Blade actor Stephen Dorff and Grey’s Anatomy’s Melissa George, which is set for release in 2018.